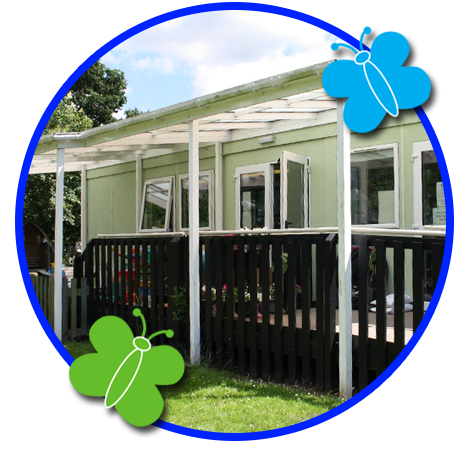 First opened in 1990, Birchanger Butterflies Preschool has grown and developed into a highly respected local pre-school facility. In our own well-equipped building and beautiful rural setting, we provide a safe, caring and stimulating learning environment for children aged from 2½ to 5 years old. Our experienced nursery staff encourage creativity, independence and confidence to enable each individual child to realise their own potential. The Pre-School is in the grounds of Birchanger C of E Primary School and, although not part of the school itself, enjoys strong links with it. The Pre-School has its own outside play area and we are also able to make use of some of the school facilities such as the playground, the hall and P.E. equipment. We also join the school for occasions and events that are appropriate to our age group, such as school plays. The Pre-School is run by an elected parent committee. The committee is responsible for reviewing policy and practice, staff employment, building maintenance, health & safety and fundraising. Birchanger Butterflies Preschool is a Registered Charitable Incorporated Organisation (CIO) and a member of the Pre-School Learning Alliance.